Hidden among the mountains of Malawi lies the small village of Nkoka in the Neno region. Comprised of maybe 100 families, Nkoka is the embodiment of ‘small but mighty’. The zest for life, dedication to education, and impeccable dance skills made the people of Nkoka one of the most welcoming and loving communities I have ever had the privilege of meeting. Partnering with this community to help build a school for their children was empowering, humbling and inspiring. 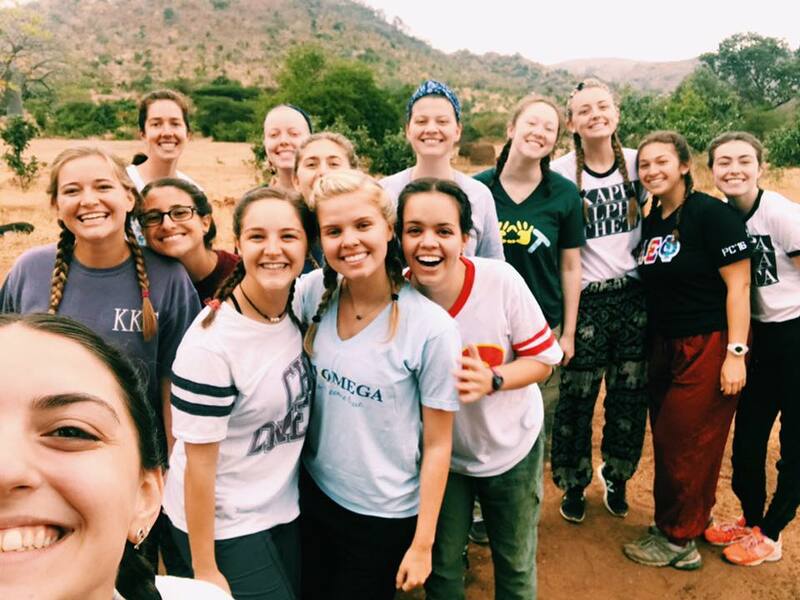 As a member of Tulane Greek Life and a member of Pi Beta Phi, I was selected along with 14 other women as part of Circle of Sisterhood to travel to Malawi and work with this village to help them achieve their goal of providing an easily accessible education to their children. When our van pulled into the village, we were almost immediately stopped in our tracks, as the entire village surrounded our car, singing and dancing. We opened the doors and filed out of the van to join them. Immediately, children ran up to grab our hands to dance with them. Women pulled us in for hugs. Though none of us spoke the same language, we could feel the love and happiness radiating through their smile and song. Following the groundbreaking, we were assigned our host families. My family consisted of abambo (father) Paul, amayi (mother) Luce, Luce’s thirteen-year-old sister Grace, and Paul and Luce’s daughter, Jenni. Luckily, our abambo Paul was the English teacher employed by the government to teach at the school in the village. Having a family member that spoke English helped us to bond with our family and really learn about the Malawian education system. Though we could not converse with our amayi Luce or our ‘sisters’, we connected to them without words. Lots of games, many laughs, and a little help from our translators allowed us to bond with our family, especially Grace. Grace lives with her older sister so that she is able to go to school. At 13 years old, Grace has to travel 15 kilometers right now so that she can attend school every day. Grace is a bright girl who seems to have made her education a priority. It was incredible to see how Paul and Luce have embraced Grace, making her an integral part of the family. The school being built right now will still not enable the village to provide classes for the higher grades, including Grace’s, but Paul is confident after seeing the commitment to education in this village, that Nkoka is on the right path to one day providing students of all grades with an education. 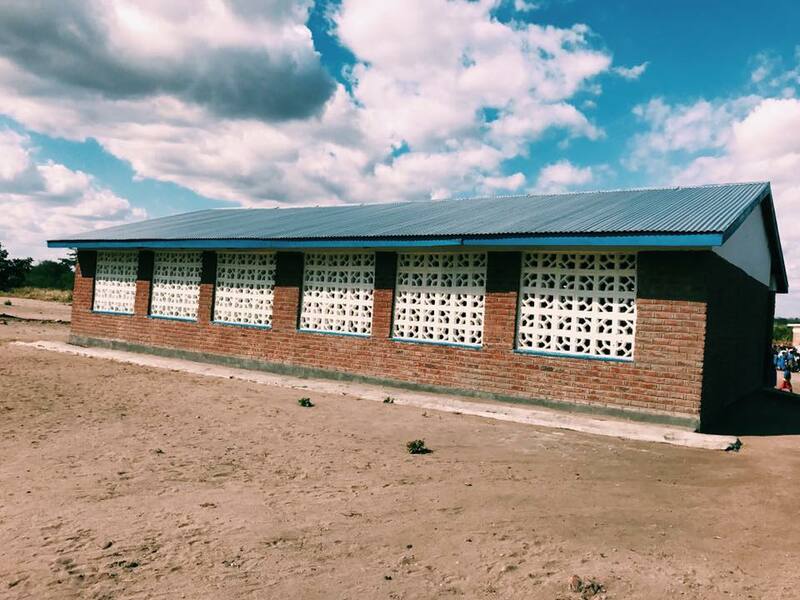 For one of our cultural activities, we traveled to the nearby village of Jimbe, where a school has been up and running since 2013. Our trek leaders wanted us to see Jimbe so that we could understand what the impact of this project will one day be. In the afternoons, parents can come to learn to read, write and speak in Chichewa and English. Also, students who may have dropped out of school can take classes to help catch them up to their grade level so they can rejoin their classmates at the appropriate age. When we arrived at the school, much like in Nkoka, we were immediately greeted with song and dance. 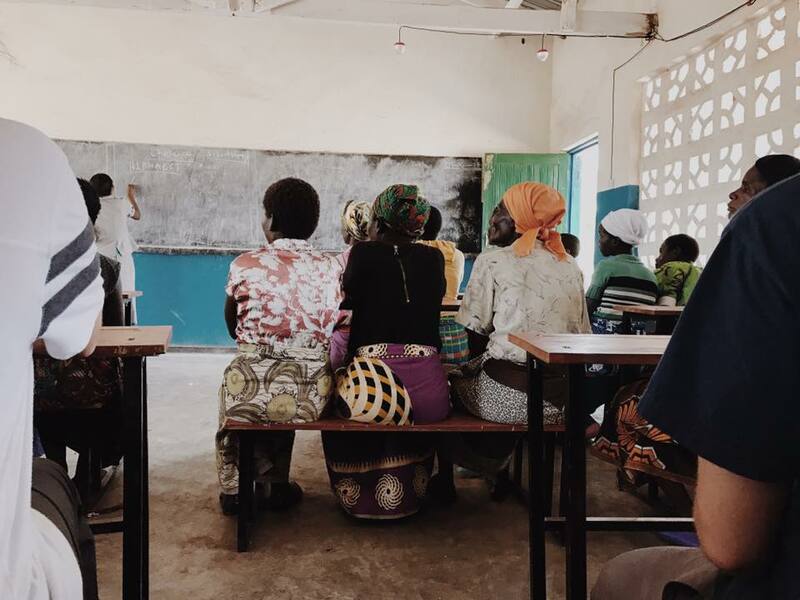 Once the dust settled from our celebrations, we sat in on an adult literacy class and met with some children who had chosen to stay after school to meet us. When we met with the children, we were able to ask them questions. Towards the end of our time, one of the girls in our group asked the kids what they wanted to be when they grew up. Everyone’s hands shot up as they were itching to answer. One by one they shared with us their dreams: doctor, teacher, banker, lawyer, professor, politician, even a department of agriculture field worker. As I looked down the line of girls on the trek, I saw a girl who was premed, a future law school student, another who wants to work in education, a business school student; we had the same dreams. Going to this school allowed the children of Jimbe to dream big and for us to see that we are not all that different. 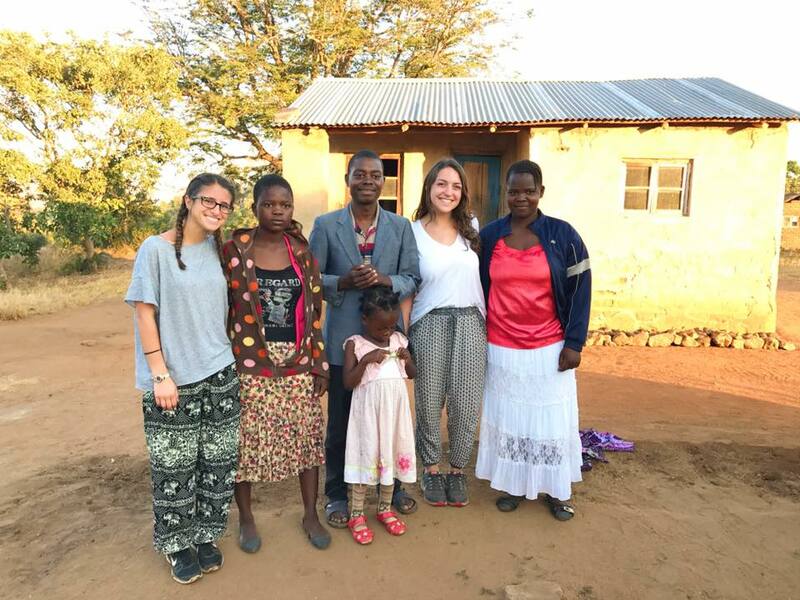 On my last night in the village, our amayi said to Brianna and me that never in her life did she think she would have visitors from America, and never did she think her girls would have role models like us. Grace reiterated by thanking us for playing with her, teaching her and being her sister. What they don’t realize is that Luce, Grace, Jenni and all the women of the village are our role models. The village of Nkoka and hundreds like them around the world have made the commitment to educating their daughters, giving them a future never thought imaginable. Now that I am home, the work is not over. As the people of Nkoka continue to build their school, I along with all the other participants of our trek will be advocating for them, lifting up girls everywhere. Our program, Circle of Sisterhood has a saying, “Be Her Hero.” The sentiment is that we as college educated women will inspire the women of the village to continue their education and achieve their dreams. Now that I am home, and I see how my dreams and passions have been reaffirmed, and how lucky I am, I think of my family, and the women I encountered on my trip, their dreams, their aspirations, their passions and I think: she is my Hero.